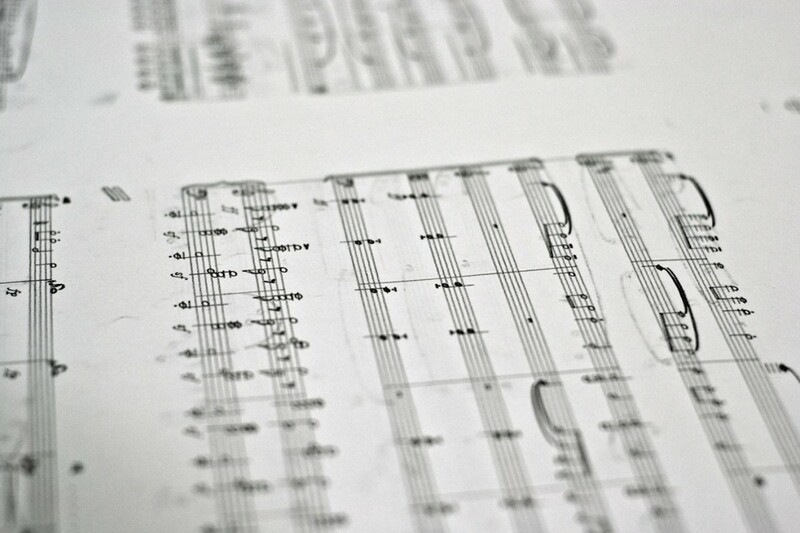 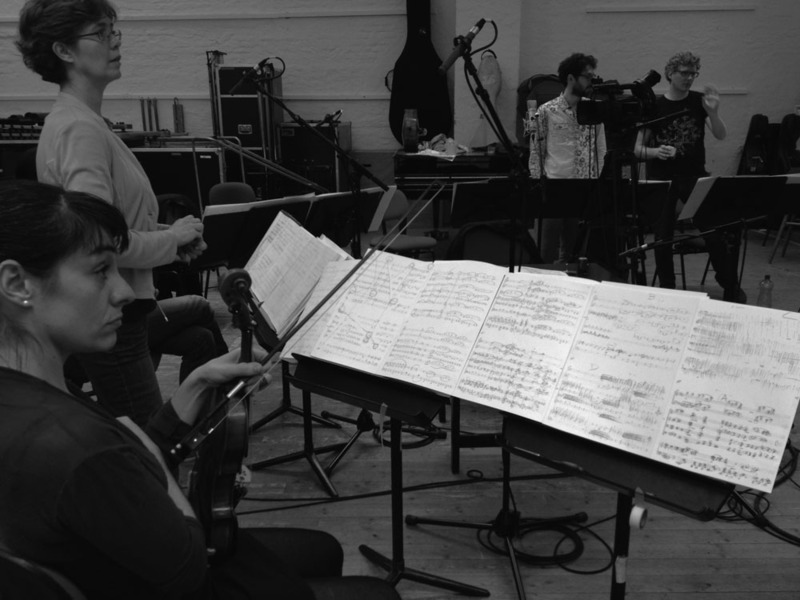 Detail from pencil printed music score. 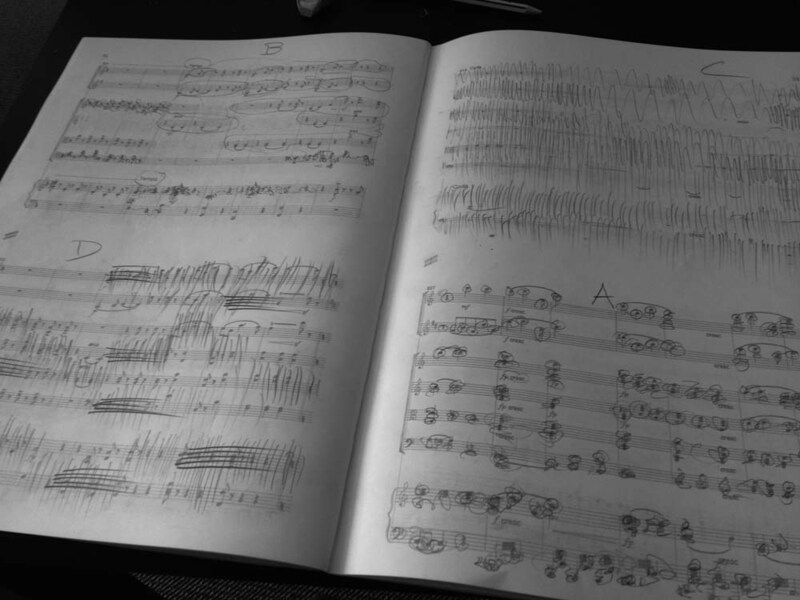 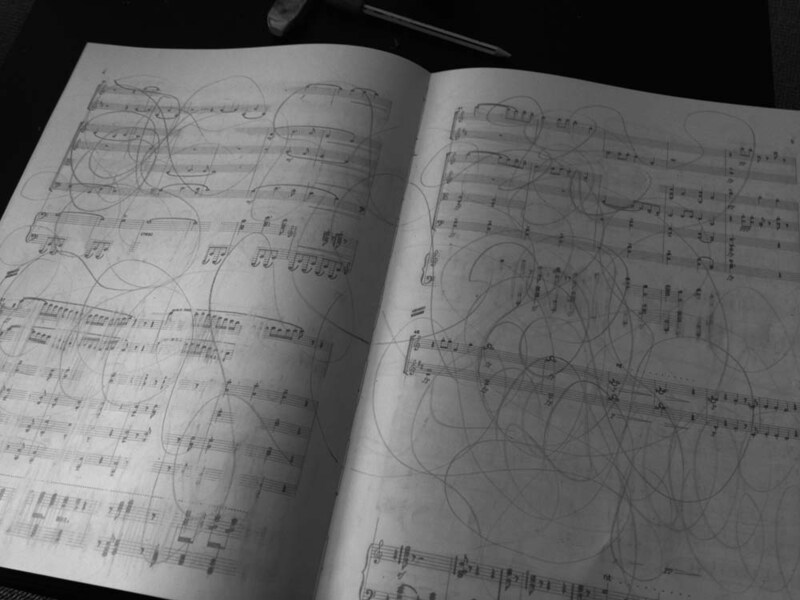 Erased music score with pencil traces. 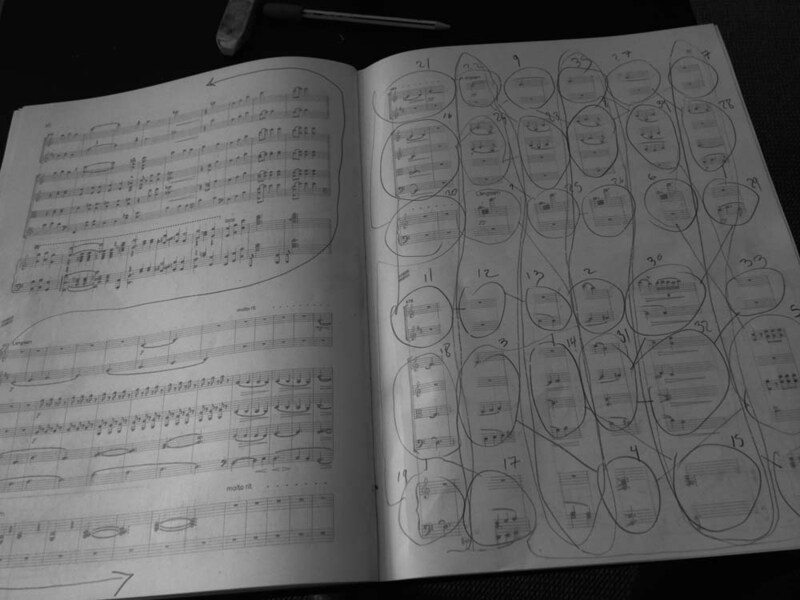 View from rehearsal at Klangforum Wein.